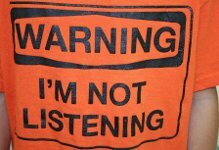 A story from Mike Collins, a talented colleague and friend I’ve had the pleasure to meet in the last 2 years – a story about consciously choosing to “listen – really listen”. ‘We have two ears and one mouth so that we can listen twice as much as we speak’ was one of my granddad’s favourite sayings when he wanted a little quiet time. It came back to me after a recent coaching session where I had started to explore how intently I was/wasn’t listening to people around me. The initial practice goal I set myself was to listen intently to the next 5 people I met and see what I could learn about them and what they were doing in their lives. As my colleague Steve says I was ‘going to give someone a good listening to’. As luck would have it the next day was my sister in laws wedding and looking round the group of characters sat in church I relished the thought of sitting next to a complete stranger and listening intently to them. You’ve guessed it already; my sister in law in her wisdom seated me next to my mother in law, I can see the fun the happy couple had when creating table layouts. Now, my wife was in on my goals and she sat across the table from me with tears of laughter in her eyes and a look that was saying ‘go on then, listen’ – so I did, quietly and intently for an hour and a half. To my complete astonishment I discovered that I was indeed sitting next to a complete stranger. I realised much to my discomfort, that early in our relationship I’d made a snap decision about her and I’d stopped listening. I learnt more in that 90 minutes than I had in the previous 28 years, about how she felt about me, my family, her role in our family and the fact that she wanted to be ‘friends’. So go on give it a try, choose a number like I did and then listen intently – put aside your own agenda and discover a whole new exciting and interesting world that’s passing you by. CONSCIOUS CHOICE – How are you giving those around you a “good listening to?” What will you find out about others if you choose to really listen? What might you find out about you when you do? Obstacles are those frightful things……. 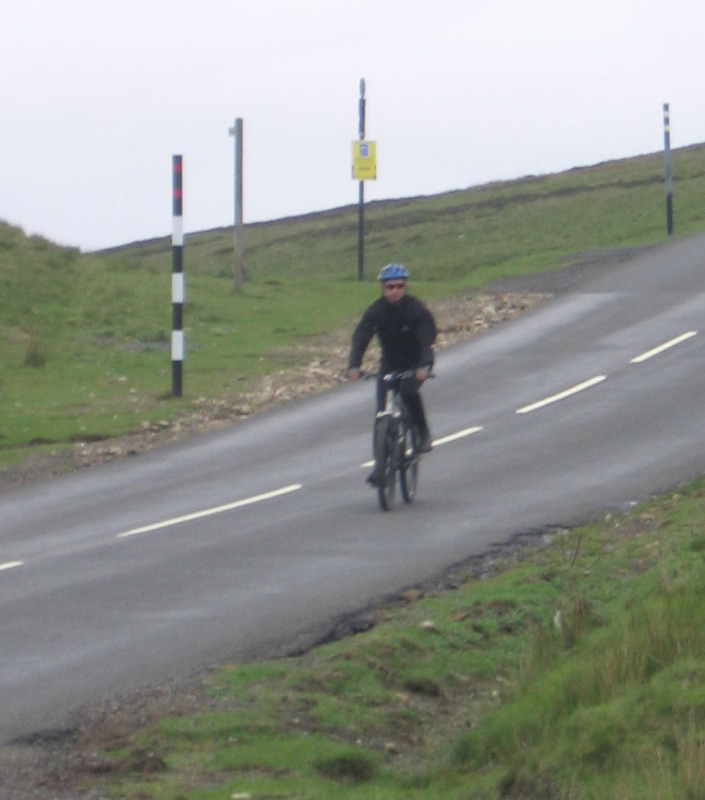 I was attempting a coast to coast bike ride in one day – 134 miles on a mountain bike – on my 40thbirthday. I’d done 72 miles and climbed 2000ft – just past half way. It was dark, cold and miserable, with a strong head wind, and big hills to come. I was emotionally low and lacking confidence. 2 miles to go until my next stop – starting a climb of 1000ft to the highest point of my ride – “I won’t get up there”, I told myself. “You’re tired, hungry and broken”. I got despondent and tearful, yet chose to carry on and somehow managed to get to the next stop. I was met by my dad and son, who had been my brilliant support crew since we started at 4.40am. I didn’t tell them how I was feeling. I was embarrassed about the idea of giving up. After 10 minutes, a quick oil of my chain by the shop owner, and a sudden sugar rush, I was aware I WAS choosing to carry on – “I’m ready to go” – so off I went. So did I finish? – you bet I did 🙂 – 12 and half hours after leaving Whitehaven, I was in Tynemouth! – I had done 134 miles – my longest and greatest achievement yet on my mountain bike. So how did I ever get to the shop AND then get up the 1000ft climb? I don’t know. Maybe personal traits were shining through – stubbornness, courage, and pride. Maybe seeing my support network was enough – with some body fuel too ! Henry Ford said this – “Obstacles are those frightful things you see when you take your eyes off your goal” – I agree – I’d somehow become dismayed by the overall aim, instead of the immediate goal. I did consciously choose to just look at the next hill, before that shop – and after it – and if I could get up that, then it was downhill for a bit – suddenly it was doable again. I think that in small bold steps – anything is possible – and it doesn’t feel as scary. CONSCIOUS CHOICE – How are you consciously choosing to stay focussed on that immediate goal? Have you got a great support network and planned good rest and fuel stops too, for your adventures in life?